Who is at risk? : Heartworm disease affects dogs, cats, ferrets, but heartworms also live in other mammal species including wolves, coyotes, foxes, sea lions, and in rare cases, even humans. Dogs: The dog is a natural host for heartworms, which means that heartworms that live inside the dog mature into adults, mate and produce offspring. If untreated, their numbers can increase, and dogs have been known to harbor several hundred worms in their bodies. 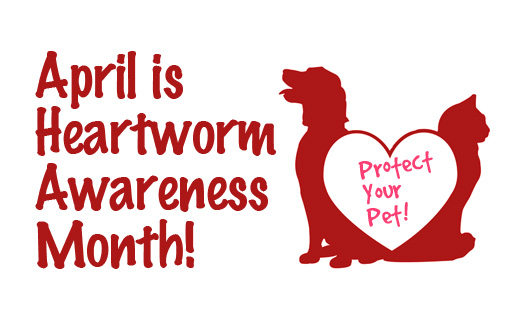 Heartworm disease causes lasting damage to the heart, lungs and arteries, and can affect the dog’s health and quality of life long after the parasites are gone. For this reason, heartworm prevention for dogs is by far the best option, and treatment—when needed—should be administered as early in the course of the disease as possible. Cats: Heartworm disease in cats is very different from heartworm disease in dogs. The cat is an atypical host for heartworms, and most worms in cats do not survive to the adult stage. Cats with adult heartworms typically have just one to three worms, and many cats affected by heartworms have no adult worms. While this means heartworm disease often goes undiagnosed in cats, it’s important to understand that even immature worms cause real damage in the form of a condition known as heartworm associated respiratory disease. Moreover, the medication used to treat heartworm infections in dogs cannot be used in cats, so prevention is the only means of protecting cats from the effects of heartworm disease. How is it transmitted? : Heartworm disease is transmitted from your pet being bitten directed by an infected mosquito. The saliva from the mosquito passes heartworm larva into the skin of your pet, and they travel to their bloodstream. Important: Your pets DOES NOT have to go outside to transmit this disease. Clinical Signs: Dogs: a mild persistent cough, reluctance to exercise, fatigue after moderate activity, decreased appetite, and weight loss. As heartworm disease progresses, pets may develop heart failure and the appearance of a swollen belly due to excess fluid in the abdomen. Clinical Signs: Cats: Symptoms may include coughing, asthma-like attacks, periodic vomiting, lack of appetite, or weight loss. Occasionally an affected cat may have difficulty walking, experience fainting or seizures, or suffer from fluid accumulation in the abdomen. Unfortunately, the first sign in some cases is sudden collapse of the cat, or sudden death. Prevention in : Dogs should be heartworm tested annually for early detection and prevention of the disease. Yearly testing along with monthly heartworm prevention is the best defense against this disease! Prevention in: Cats: it is harder to detect than in dogs, because cats are much less likely than dogs to have adult heartworms. The preferred method for screening cats includes the use of both an antigen and an antibody test. 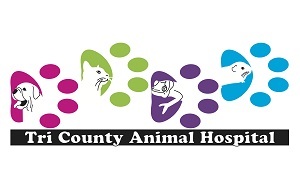 Your veterinarian may also use x-rays or ultrasound to look for heartworm infection. Cats should be tested before being put on prevention and re-tested as the veterinarian deems appropriate to document continued exposure and risk. Because there is no approved treatment for heartworm infection in cats, prevention is critical.